This extraordinary drawing by Jacopo Ligozzi reveals the early modern European fascination with costumes of the East and brings immediacy to a faraway subject. Ligozzi, an Italian artist active in Florence, made twenty-six opaque watercolor drawings of Turkish figures for Francesco I de’ Medici, Grand Duke of Florence from 1574 to 1587. The Grand Duke was particularly interested in collecting works of art and precious objects of natural history from all over the world. The inscription on the Getty drawing refers to the figure with the term “azappo,” which comes from the historical Turkish word azap, meaning marine. These archers were seafaring soldiers employed on Turkish galleys or longboats. 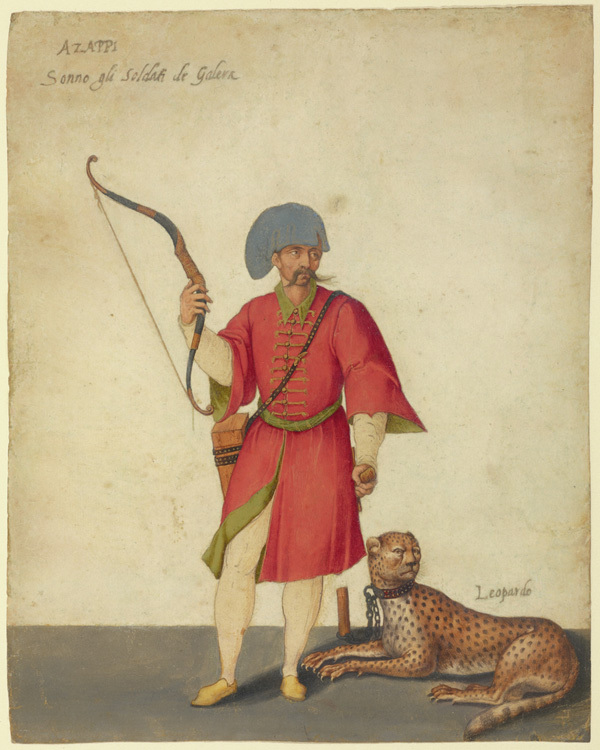 Having never visited Turkey, Ligozzi relied on engraved costume illustration published in the sixteenth century to satisfy the curiosity of European people in foreign costumes. 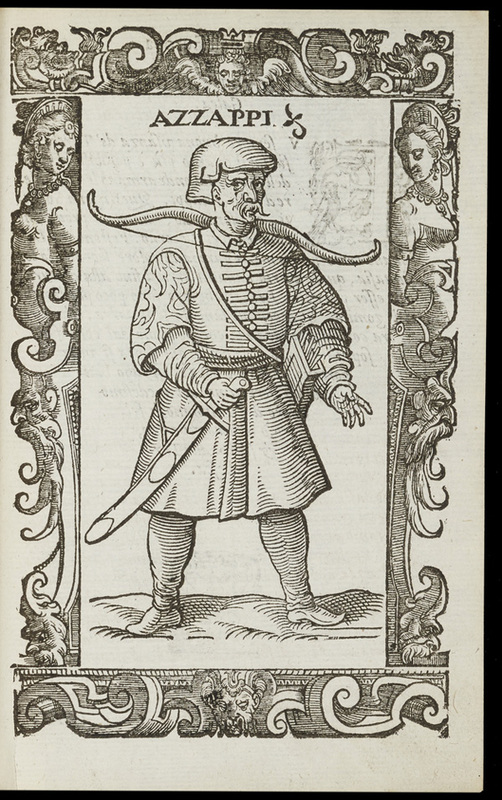 Interesting parallels can be found between Ligozzi’s drawing and the engraving of a Turkish archer printed in Cesare Vecellio’s De gli habiti antichi et moderni di diverse parti del mondo (On the ancient and modern costumes of the various parts of the world), a costume manual published in Venice in 1590. Made for the sole purpose of depicting costumes, the print illustrates the dress of an archer in detail. In the drawing, by contrast, Ligozzi makes his subject more vivid, adding imaginative colors that are not mentioned in Vecellio’s book. The woodcut is static, showing the archer with his bow resting across his shoulders, while Ligozzi’s archer holds his bow in his right hand and seems to be ready to face the enemy. His right leg is slightly moved forward to emphasize the sense of the movement. Furthermore, Ligozzi enriched the portrait by adding a leopard, which shows a physiognomic similarity with the man. Its menacing stare mirrors the ferocity of the soldier. 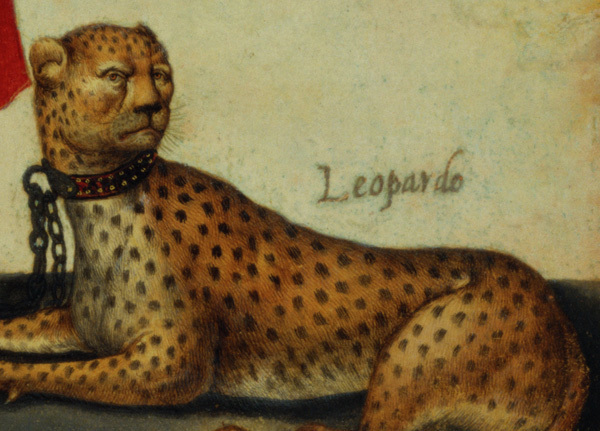 Ligozzi probably had never seen a leopard—and in fact, it is a cheetah. 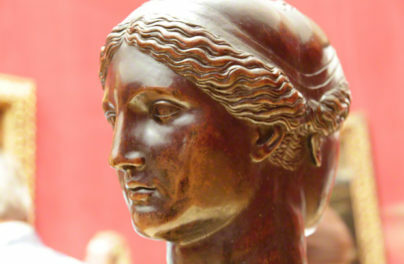 He likely took inspiration from north Italian early Renaissance pattern books, copying from other drawings rather than from the animals themselves. 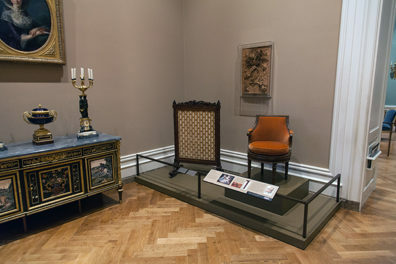 Nonetheless, the presence of the cat helped the artist accent the exotic character of the drawing and thus achieve approval from Grand Duke Francesco I, who was particularly interested in “oriental” subjects and ethnographic collections. In addition, the image displays Ligozzi’s ability to record subjects with great exactitude and miniaturistic details, a skill that made him famous in Florence as a minute observer of nature.